You may think having wavy hair is all fine and dandy, but no, not in my case. If you must know, I was born with wavy, thick and unmanageable hair, which I hated so much. It often looks windswept, sticks out in all the wrong places and having bad hair days began to define me, little by little. Ergo, I have been straightening my hair ever since I was a 14 years old and has since never looked back. 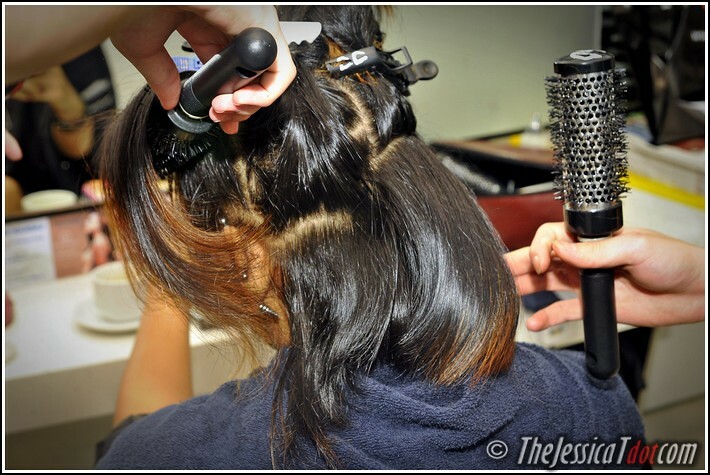 But with technology revolving around the hair industry, hair revolutionists have been churning out new ways to make the “straightening” procedure and results a little more alluring. 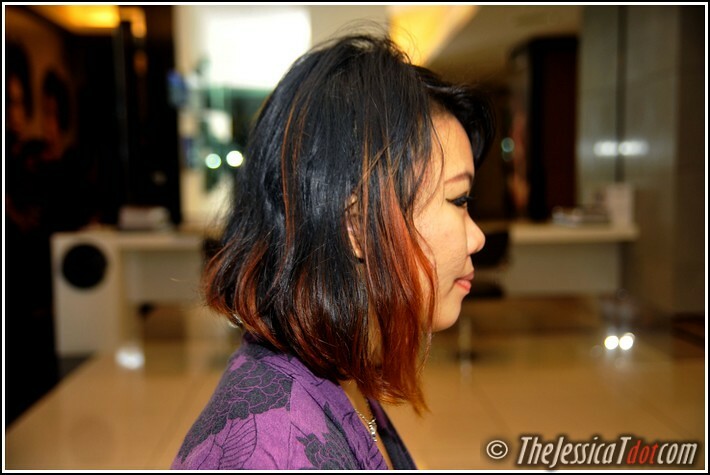 My previous session at A Cut Above was when I did my Kerastraight Brazilian Keratin Treatment which got rid of the frizz and frayed, dryness in my hair (you can read about it – here). Following up, my next appointment was scheduled to straighten my unruly mane. is ONLY when I’m on my way to A Cut Above! 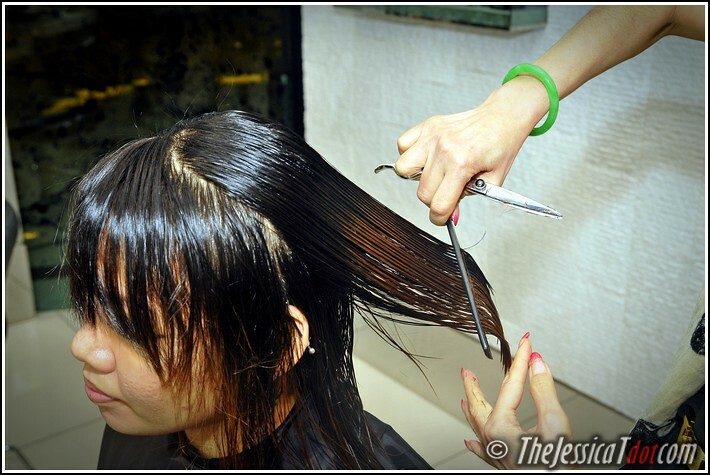 Before undergoing a chemical hair treatments to structurally modify your curly and unruly hair, I would first like you to know the difference between the two techniques of hair straightening – hair relaxing and hair rebonding. 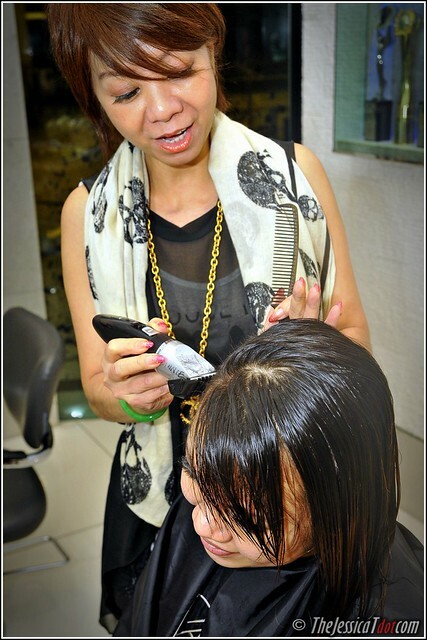 Hair rebonding allows breakage of hair bonds, rearranging those bonds and restructures it once again to the desired, straight, state. 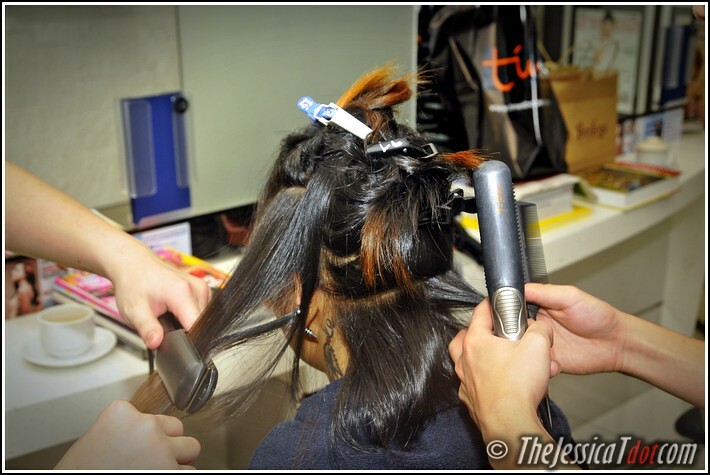 Using a flat iron, the hair bonds are restructured and then applied with a neutralizing agent that will preserve the newly structured hair bonds. 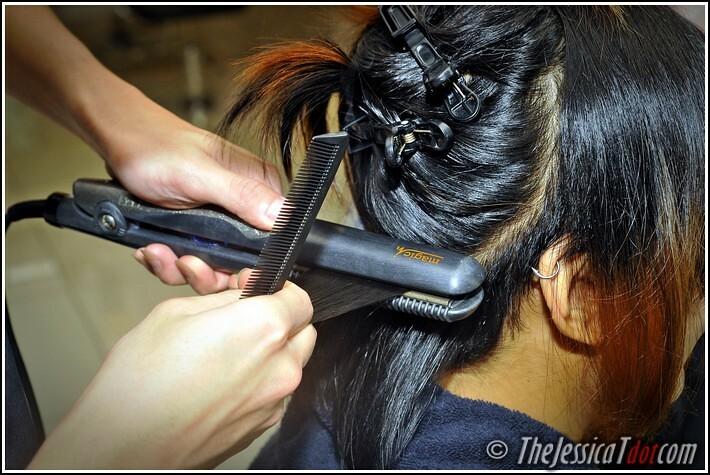 The tool usedis a flat-iron to flatten/straighten the hair and relatively takes longer than relaxing. 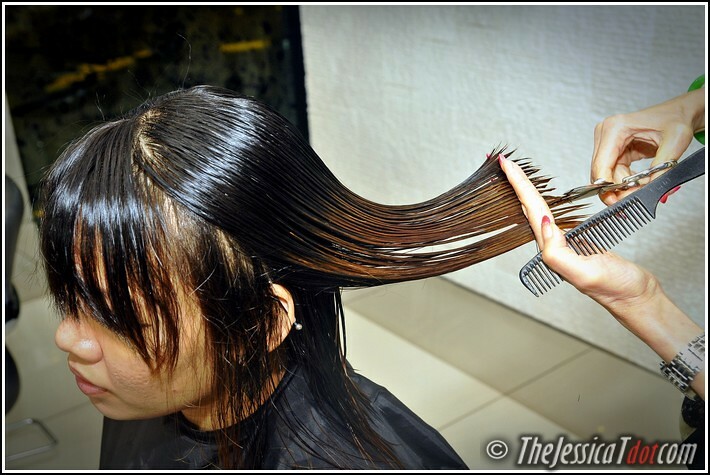 The effect relatively takes longer than relaxing but is more lasting than relaxing and the results of hair rebonding will be a pin-straight, flat-out stick straight hair. 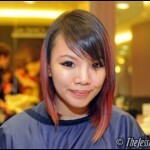 If you like the sleek, super straight look, then this option will be suitable for you. But to me, after many years (and many times!) of rebonding my hair, I find that it looks rather unnatural and closer to a broomstick effect than a healthy straight hair effect. 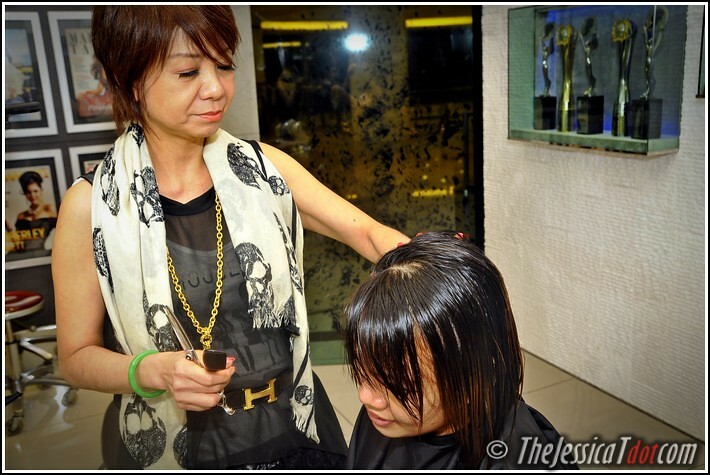 Yeah I had this kind of straightened rebonded hair for years! On the other hand, hair relaxing straightens the hairby breaking down the components of the hair and takes the frizz out of your hair strands. 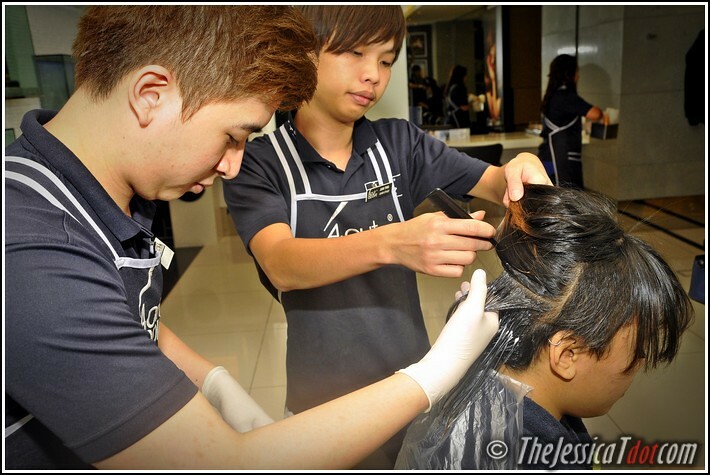 In other words, it ‘relaxes’ curls to a more manageable state, smooth the hair to a straight effect. 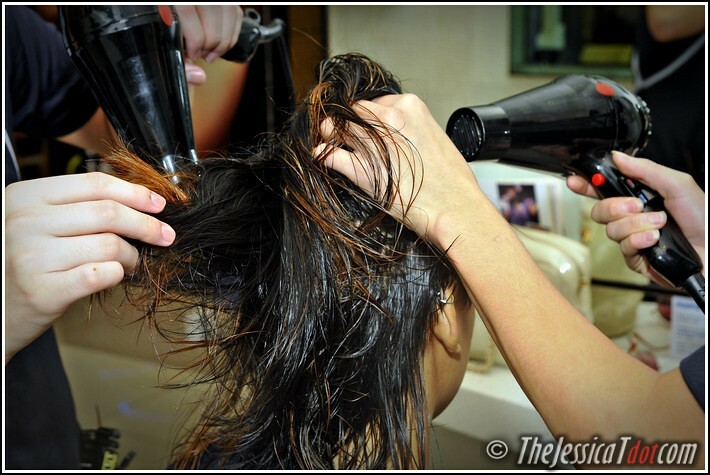 Only a blow dryer is used to straighten the hair and the process is relatively faster than rebonding. 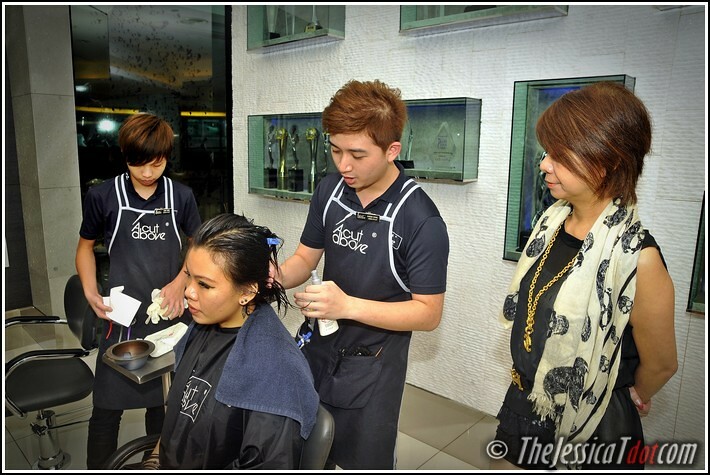 However, relaxing may not last as long as rebonding as the natural wave is slightly maintained, although much straighter than the original. But to me, this option looks more natural than rebonding as it does not give you the uncooked spaghetti-straight hair effect. 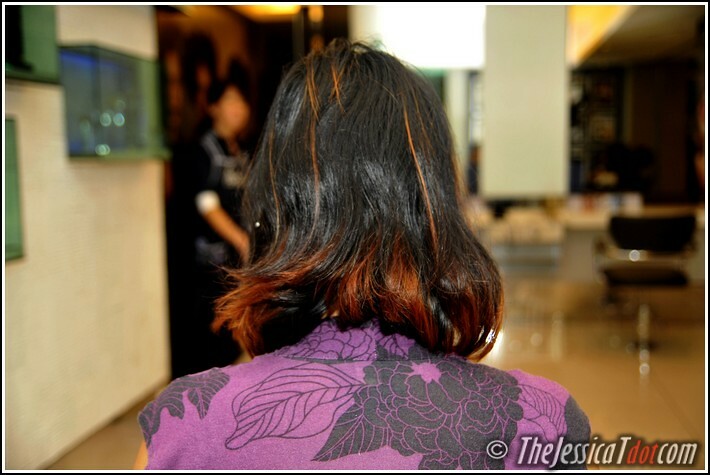 Both procedures alter the structure of your hair permanently – duh, you wanted it straight, right? Certain activities like swimming, too much exposure to the sun exposure, or improper styling tools may have adverse effects. 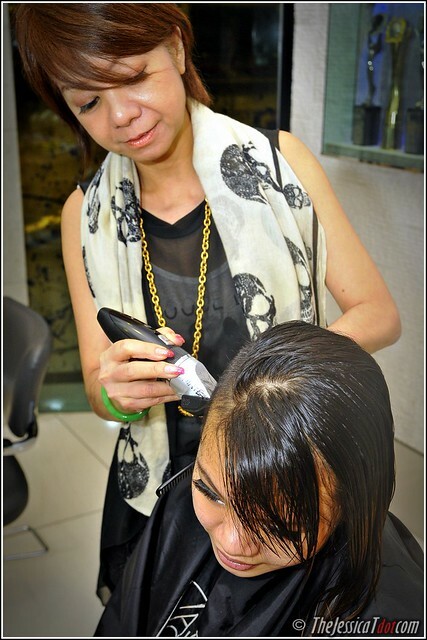 Chemically-treated hair is always more vulnerable and sensitized, so just give your hair extra care and love! So which did I end up underdoing? Winnie recommended me what she would call, the hair relaxer rebonding treatment. 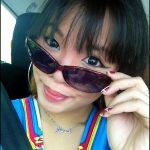 I’ve always trusted her completely, as she gives me the best advices! 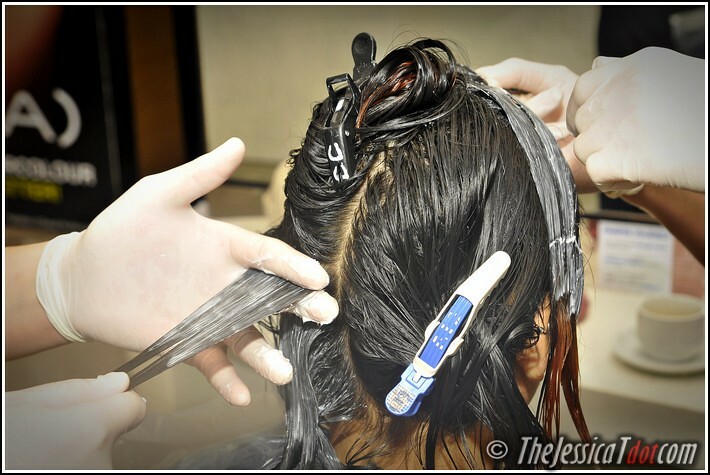 As such, I’m going to share with you the entire process of what goes behind-the-scenes of a typical hair relaxer rebonding experience at A Cut Above and why this is the best option for your hair if you want the best of both worlds of rebonding AND relaxing. Like all the appointments I’ve had at A Cut Above, my hair was first washed. Getting my hair washed while checking out the shampoo that they used on me today. This shampoo is has two technologies merged into it – Pro-Keratin and Incell. Containing anti-breakage and anti-dryness properties, it helps to rebuild and deeply nourish damaged hair. 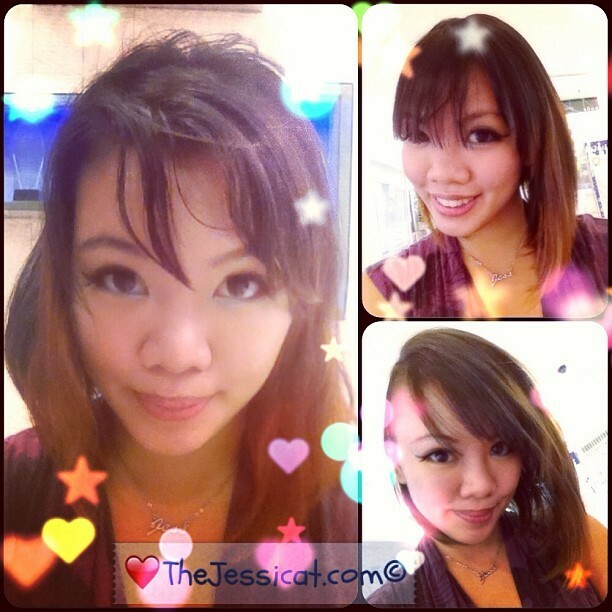 The hairdresser assigned to me was very friendly and rather informative when I asked questions! 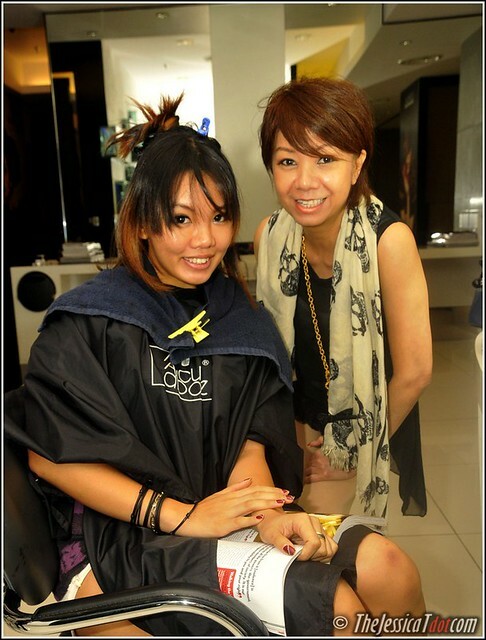 My hair was then towel-dried and sprayed with L’Oréal Professional X-Tenso Care Nutri-Reconstrutor Serum. 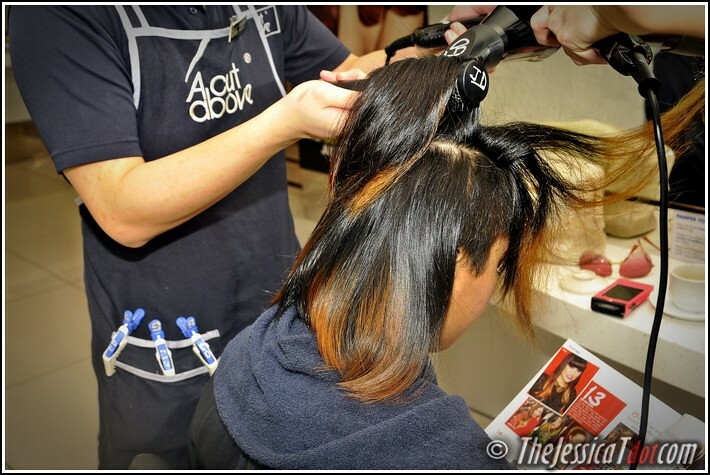 The former helps to ensure healthy and best results by improving hair’s elasticity during the straightening. It was then combed straight and separated into sections. 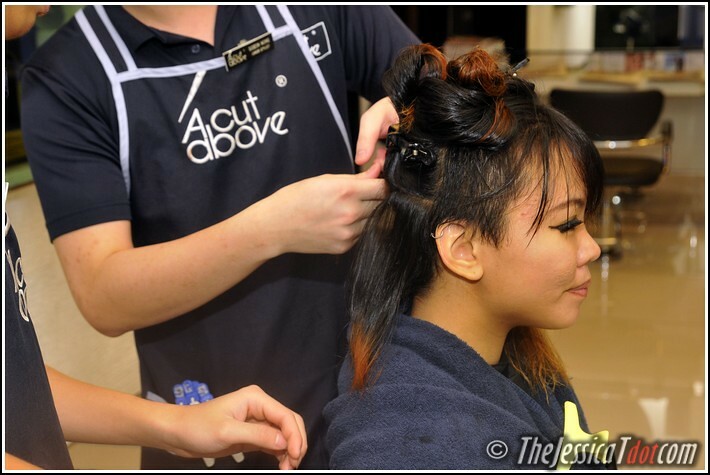 The relaxing cream was evenly applied underneath and on top of onto my hair layer. The cream was then left on for about 15 minutes for chemical reaction to take place. 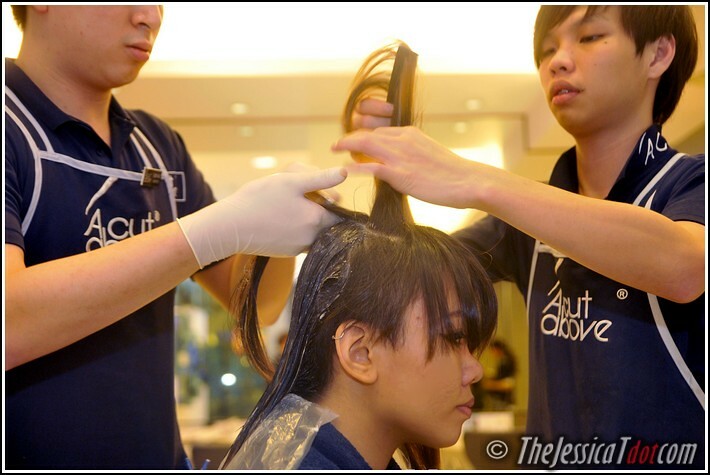 While developing, the heat helps to open hair cuticles, thus allowing better absorption. After 15 minutes, my hair was smoothened and combed layer by layer. 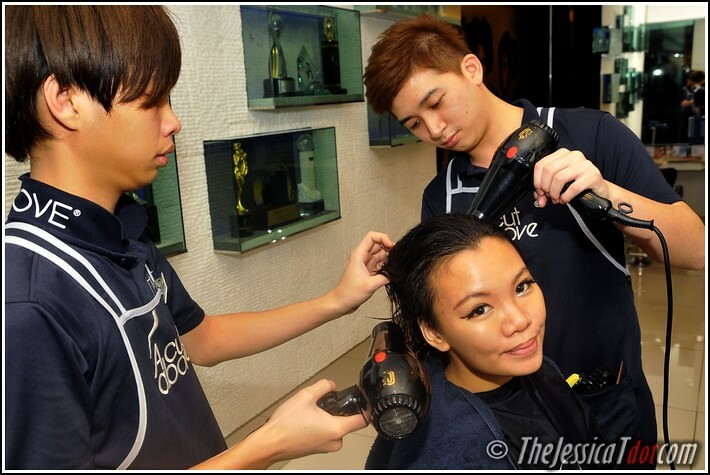 He rinsed my hair very carefully, making sure that ALL residue of chemical creams are removed. Still slightly damp after blow-drying, the next blow-dry step will take place. Separating my hair into sections again. 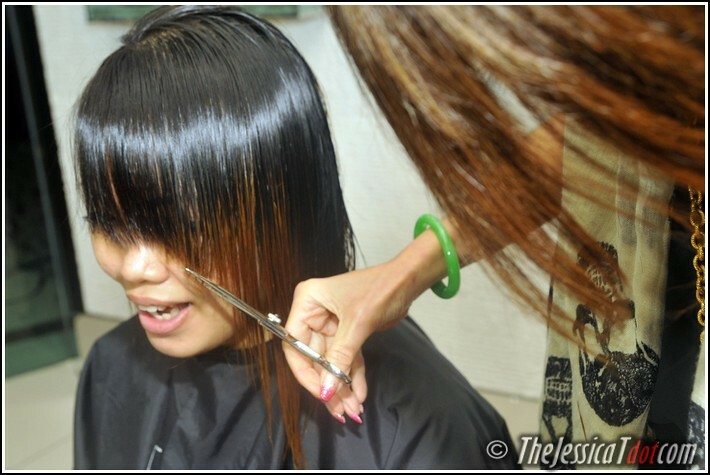 In the usual rebonding procedures, this step is skipped and instead, straight on to the flat-iron stage. 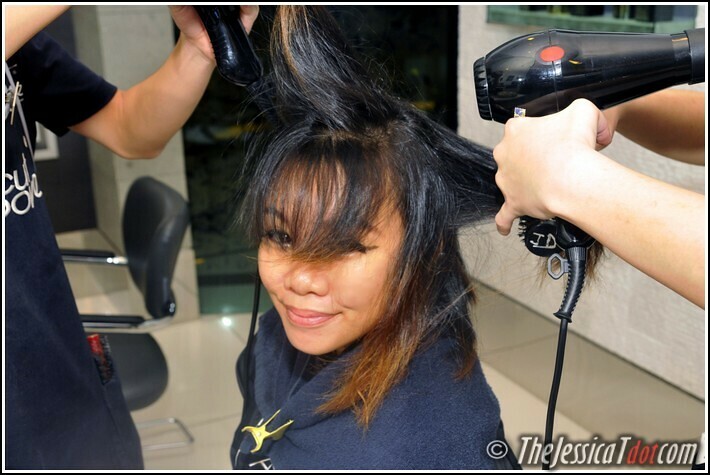 But this relaxing-rebonding process requires my hair to be blow-dried straight first. 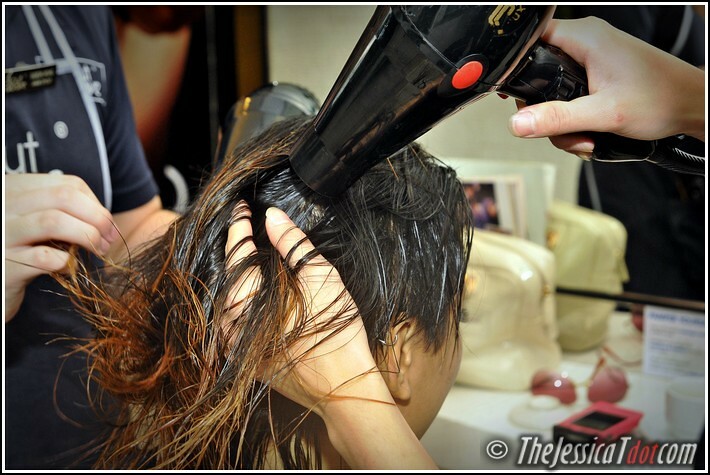 Blow-drying definitely gives the straightness a more natural curve to it before the ironing process! Reading some magazines on my hairdressing table. Winnie dear came by to check on the procedures. She then advises on the next step. so I could quickly reply all of you with the right answers! 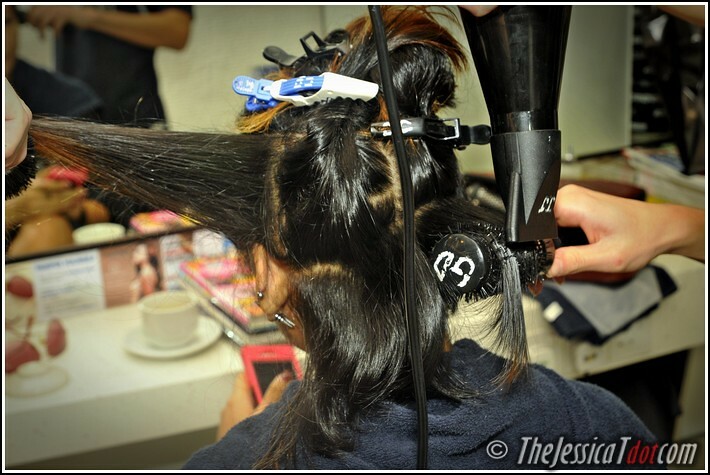 but sufficient to create a straighter, more longer-lasting effect compared to just blow-drying alone. and regulated to not more than 180-200 degrees celcius. This is to avoid the hair of getting burned and lead to irreversible frizz of the hair. 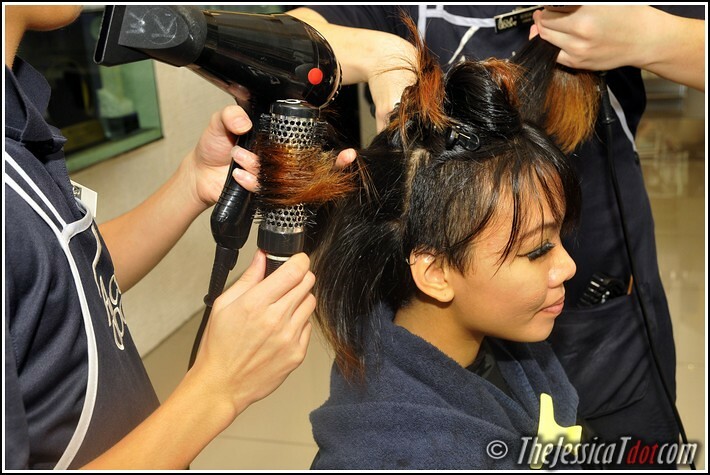 I would know, as I’ve gotten my hair burnt many times due to unprofessional straightening in the past! Results! 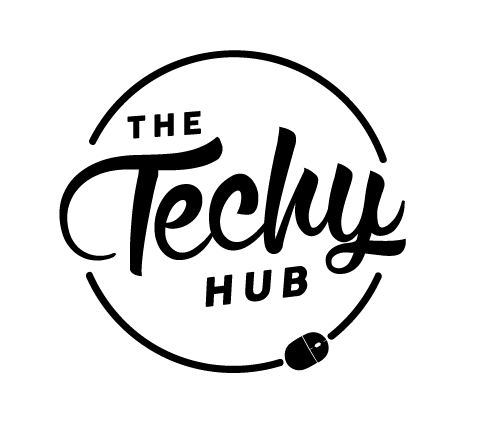 No, we’re not done just yet – but we’re almost there! Just waiting for my hair to cool off to normal room temperature. 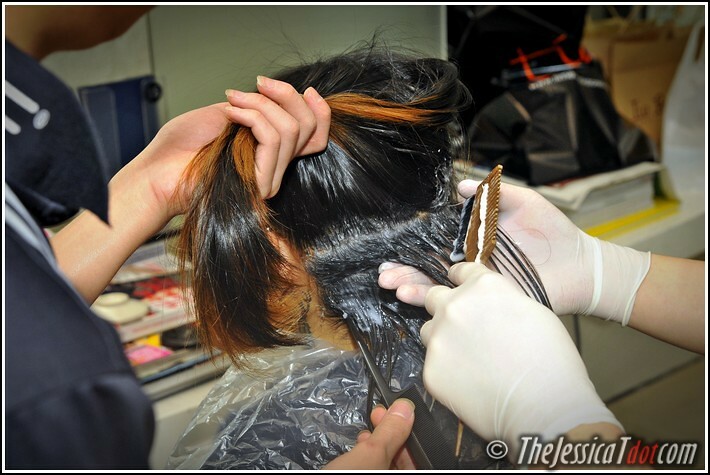 After leaving it for 10 minutes, a neutralizer was applied to bond the structure of the hair again. It was applied on each section of my hair thoroughly. Sipping some hot tea while the boys worked on ensuring the neutralizer is evenly applied. The neutralizer was combed gently and slowly. 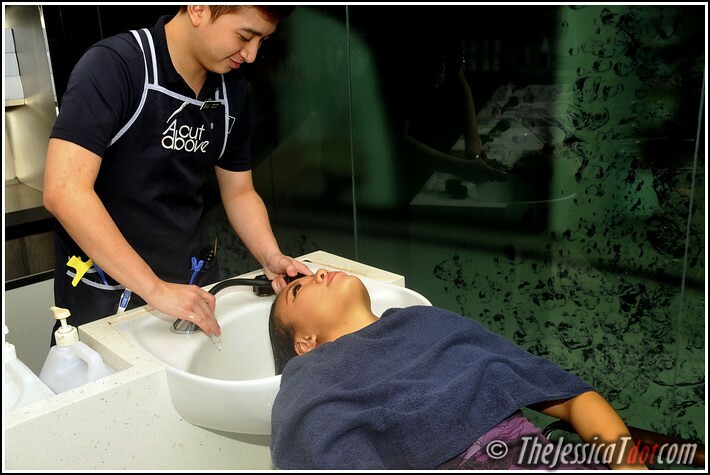 It was then left to set for 15 minutes to achieve optimum conditioning and nourishing effects. 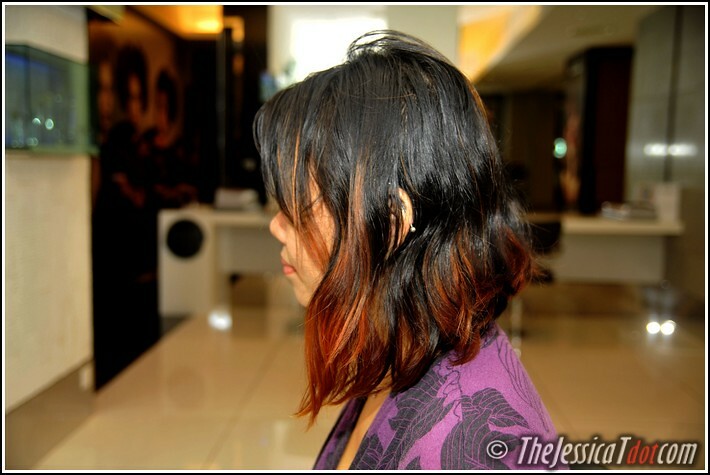 My hair was rinsed with cold water to remove all the neutralizer left on my hair and conditioned thereafter. without compromising all the fine details. We all want the best for our hair, don’t we? When the straightening of my hair was finally done, it was time for a hair cut. She inspected my hair and asked me how I would like it to be this time. I asked for something irregular and non-symmetrical! 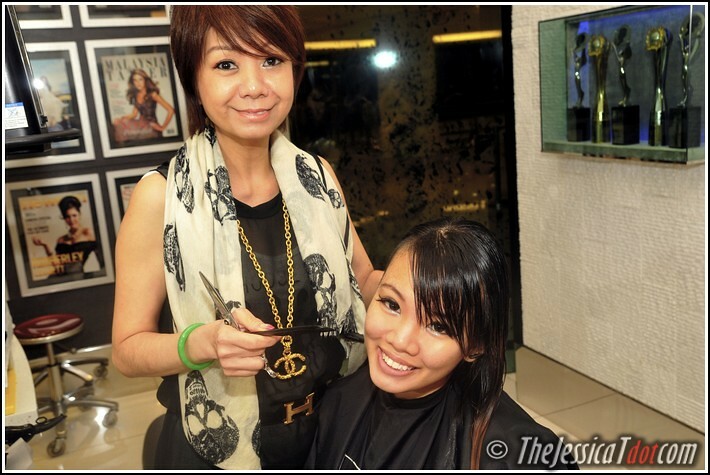 Being one that favours the bold, daring & experimental when it comes to hair styles, my brilliant hairmaster Winnie gave me an edgy, non-conventional haircut to suit my personality. I love the times we spend together during hair cuts! Her movements were very swift and precise in their swipes. 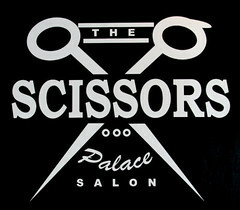 But of course, her tools of trade is the mighty scissors and her very own fingers! 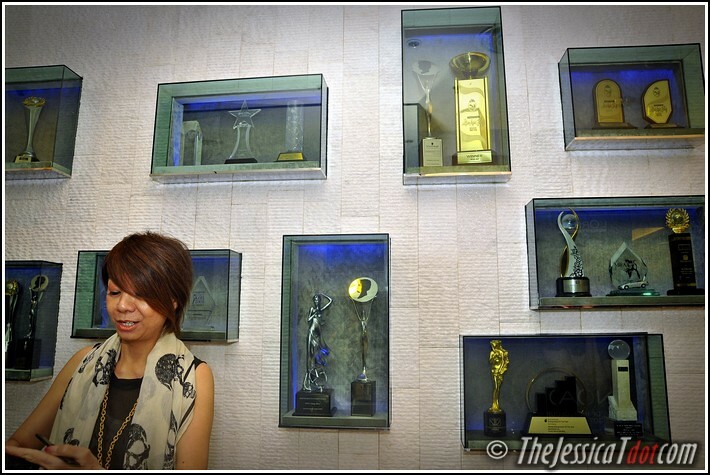 After more than three decades, she’s never fails to be extremely meticulous and sharp in her craft! That is just one of the things I admire and respect about her. She’s so inspiring. 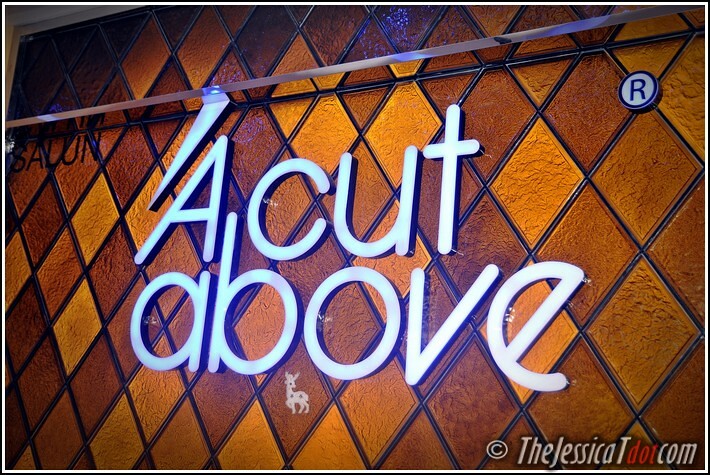 The accolades and awards won by A Cut Above says it all. awards you with immeasurable self-satisfaction. I can see how Winnie really embodies that philosophy! Anyway, she also gave me back my Skrillex-inspired side-shaved buzzcut. Happy times whenever I see her! She’s a fighter too, recovering well after a recent car accident. God bless! are you ready to see a BEFORE AND AFTER? I know this is your favorite part.. haha! 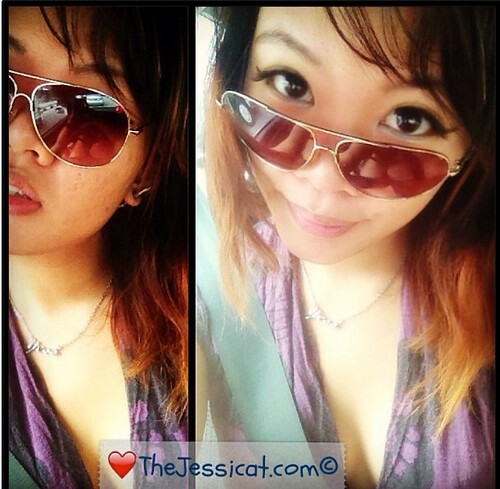 Most of you always ask me for before and after photos whenever I experience anything. So here they are! 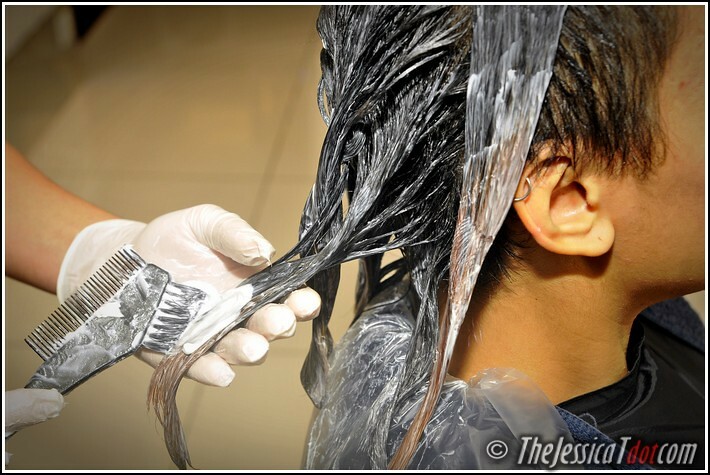 Such chemical treatments require tip-top salon skills and knowledge as delayed rinsing, or improper application and execution can definitely lead to hair damage. I’ve been there, done that, and been there, done that, wash rinse and repeat the nightmare again and again. So this is why I urge all of you out there who is looking to straighten their hair, to go to credible salons or hair centers that are professionally licensed and skilled, lest you get your hair burned and damaged like the ghost of all brittle hairs LOL. Which is why I always return to A Cut Above! I”m positively sure that once you come here and experience top-notch services, you won’t turn back. All the more reason for you to pamper daddykins! 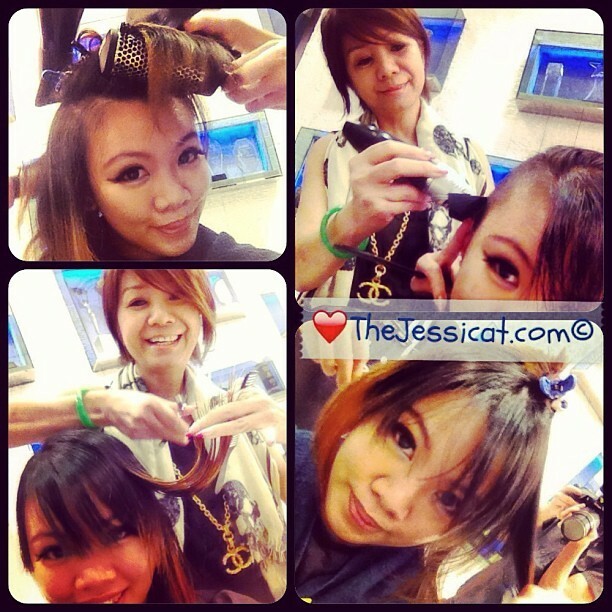 Thanks Winnie, for a wonderful afternoon and for always making my hair so gorgeous! See you again soon dearie! They are very active on social media too! Wow. so detailed! now I knw how straigtening works actually. 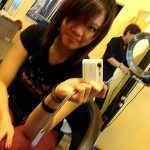 I still want straight but usually scared to do straightening anymore cos my hair always kena burn. But they did yours looks so natural! I also did relaxing treatment and it turned out to be so natural. love it. You look amazing after doing the treatment. Thank you! 🙂 🙂 I love it too! 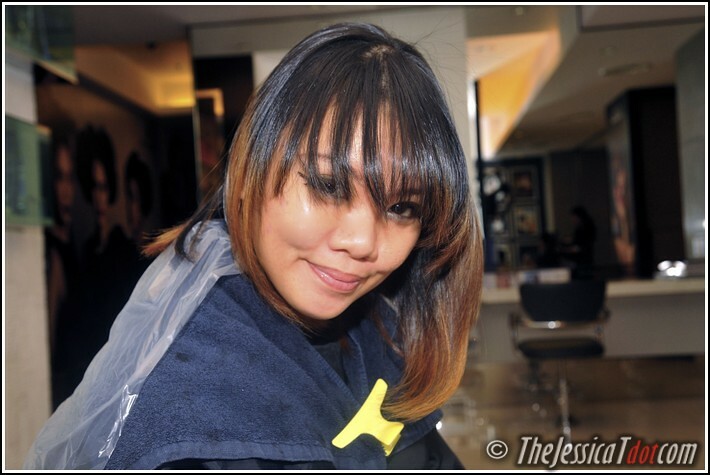 Well it was memang straight like a broom back then before I discovered A Cut Above's relaxer rebonding 🙂 haha! gorgeous hair babe! 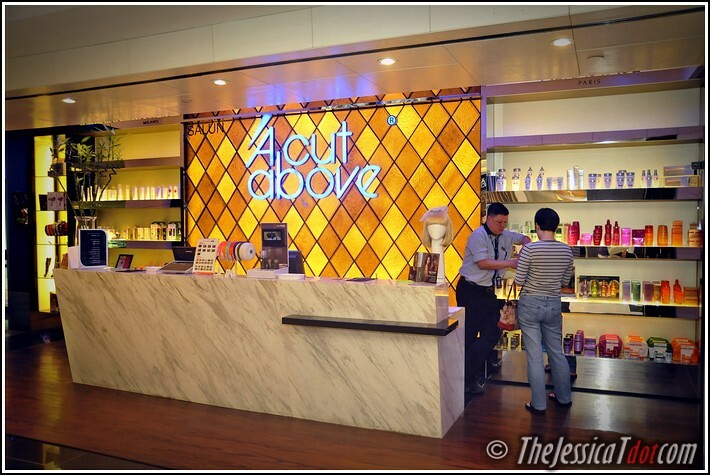 how much it cost for your hair at cut above? 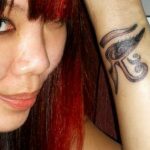 Heyaa…i loved your article and i finally found out the difference between hair relaxing and rebonding,which was really was helpful…i’m thinking of trying it soon actually but i was wondering how long did the whole process take? Hi! 🙂 Thanks, I’m rlly glad you liked it! Well… it took about, say… 3-4 hours? 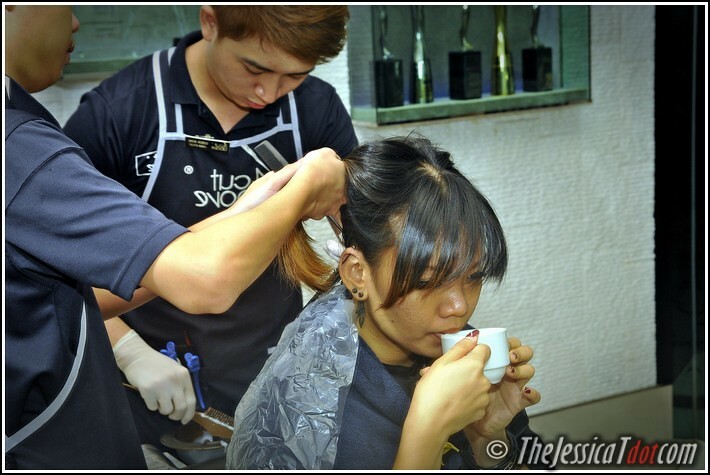 If your hair is very long it might take longer…. Hai ! Very nice sharing. Informative yet entertaining. What are the side effects for hair relaxing? My hair is straight. But my right n left side is spiky. But the top is still straight. So should i do relaxing for the right n left side? Btw, im a guy. Hehehehe. Tq very much! Hey! 🙂 It doesn’t matter if you’re a guy or a girl. There’s no side effects. It just softens your hair – something like straightening but more natural. Hi! I was wondering. How long will it last for hair relaxing? I’ve read other blogs and they said it will only last for like 3-4 days. 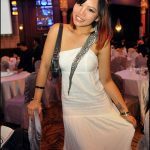 A birthday double-date affair at Silver Spoon, Publika KL!